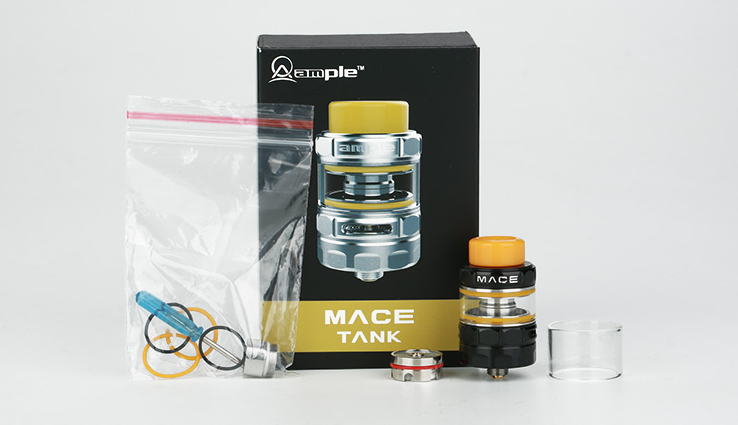 Welcome again vapers, today we’ll make a comparison between the Mace Tank and the Mace-X, both from Ample! So before starting with everything, I want to thank The Vaping Times for sending me those products. 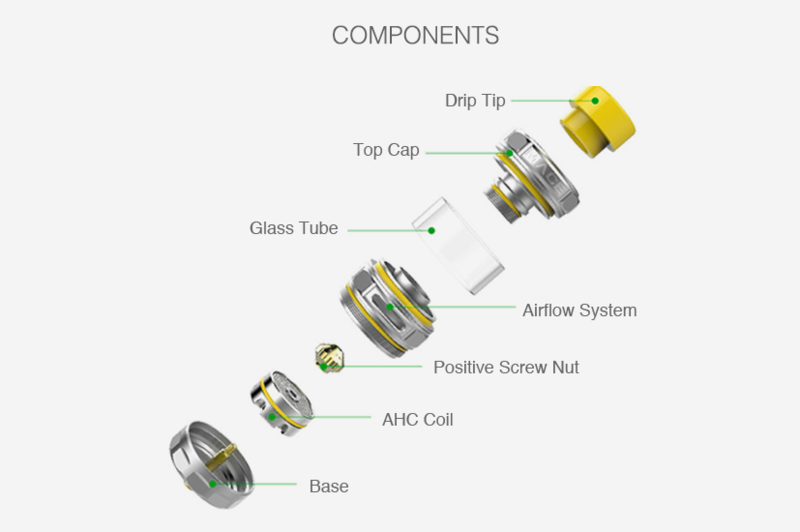 Mace tank by Amplevape is a stylish sub-ohm tank with 24.5 mm diameter. 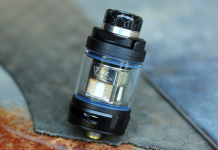 It comes with a new disc-shaped ADC coil, which sits horizontally in the bottom tank and expands the interface between heating surface and liquids. The Mace adopts a top fill and adjustable bottom airflow. I didn’t like how you have to plug in the coil. The thing that you have to plug in the coil with is a tool and it takes 30 mins to prime the coils = a real pain. It has a good flavor production and a decent aroma. Last con is that I actually encountered some leaks from the bottom airflow. 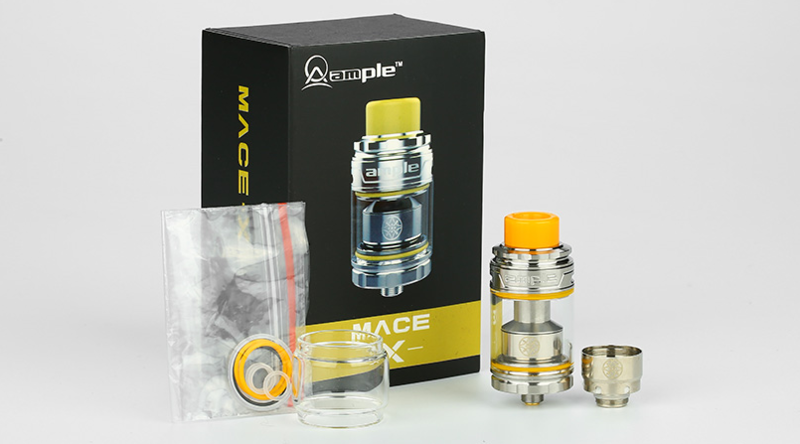 Just as its predecessor, the Ample Mace-X Sub ohm Tank adopts the ADC series coil. 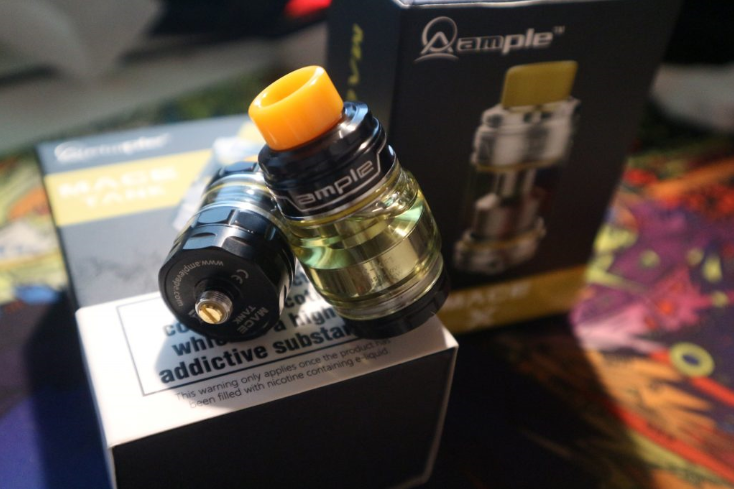 It comes with a new disc-shaped ADC-XF1 0.27ohm coil, which sits horizontally in the bottom tank and expands the interface between heating surface and liquids. The Mace-X features easy top fill and adjustable top airflow design. Same for this product, I didn’t like it for the same problem of plugging in the coil. It has a good liquid capacity and actually is easy to mount the different tanks. I encountered some condensation problems but it still has a good flavor and a decent cloud production. Alright, guys, we just finished seeing all the technical data and now let’s compare those tanks. 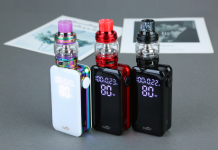 Surely the first 2 differences that we notice are the tank capacities and the ways to plug in the coils. 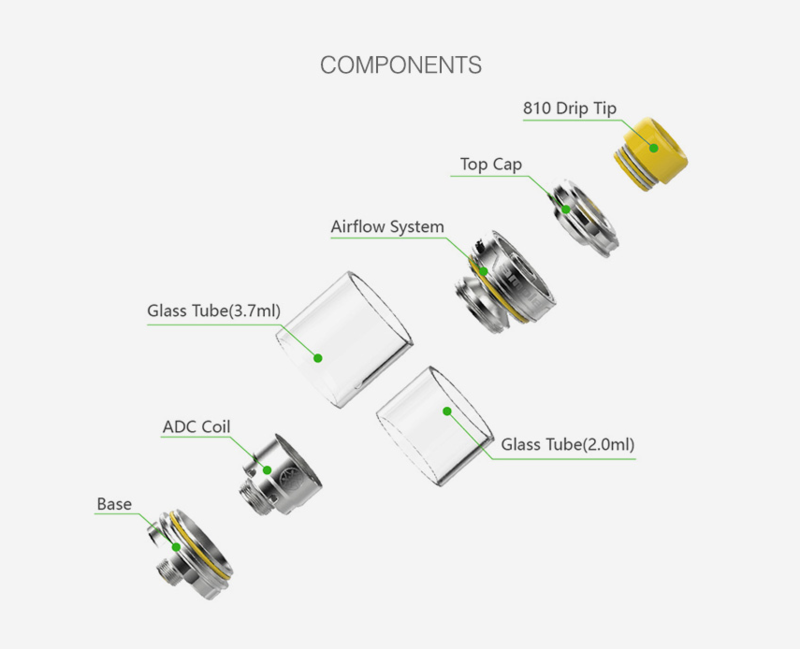 In the Mace Tank, we have a classic 810 drip tip with a top filling method and a bottom sided airflow. In the Mace-X we have an 810 drip with double rings, top filling system, and top-sided airflow. Now let’s talk about the substantial vape differences like flavor, cloud and how the works. In the Mace Tank, we have a screw system to plug in the coil and a good cloud production with a decent flavor. Reverse the Mace-X has a classic plug-in coil method and a good flavor with a cloud production on the average. Please change the coils, even with the same method to plug them in but that requires less time to be started. And that’s it because I think that with just a bit more study behind them, they could become very good products. THANKS FOR READING, DEAR VAPERS. I REALLY APPRECIATE IT. I HOPE THIS REVIEW WAS HELPFUL TO YOU. IF YOU WANT TO KNOW MORE ABOUT ME, YOU CAN CHECK OUT MY INSTAGRAM PAGE AND MY PERSONAL BLOG.